Imagination Fury Arts, 9781944190040, 236pp. At ninety-seven years old, Olga Quintero Smyth is living in an adult care facility and wrestling with dementia. She dreams of her childhood, of her family's luxurious life and relives the dangers caused by her family's role in "defending" the Venezuelan dictator from a restive exile community in 1920's Trinidad. When young Olga begins to feel stifled by the regime's demands, her resistance sets off a chain of events that drives her family to flee Trinidad to a working-class neighborhood in Harlem, New York. 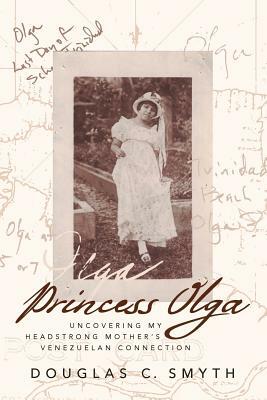 Princess Olga reveals the regal wit and power that Olga demonstrated from her adolescence to her final years, following her evolution from conservative class protector, to 11-year-old, one-girl anti-regime saboteur, to American Communist sympathizer and finally to innovative educator.